Designed for machining cubic parts up to 100 kg in weight, the C12 works in the most diverse applications compactly, precisely and dynamically. The C 12 is more than a match for larger models. Aside from its compact size, the main focus is on Hermle&apos;s core competences precision, durability and dynamics. Designed as a 5-axis machining centre featuring the different spindle speeds and different interfaces, the ideal speed is available for almost every area of application. Needles to say, the patented Hermle collision protection has been integrated accordingly for spindles up to 18000 rpm. The tool magazine comprises as many as 36 cutters and can be extended up to 71 tools in the double extension stage. Thanks to the respective Hermle set-ups, the C 12 also meets the ever increasing requirements placed on speed and precision. 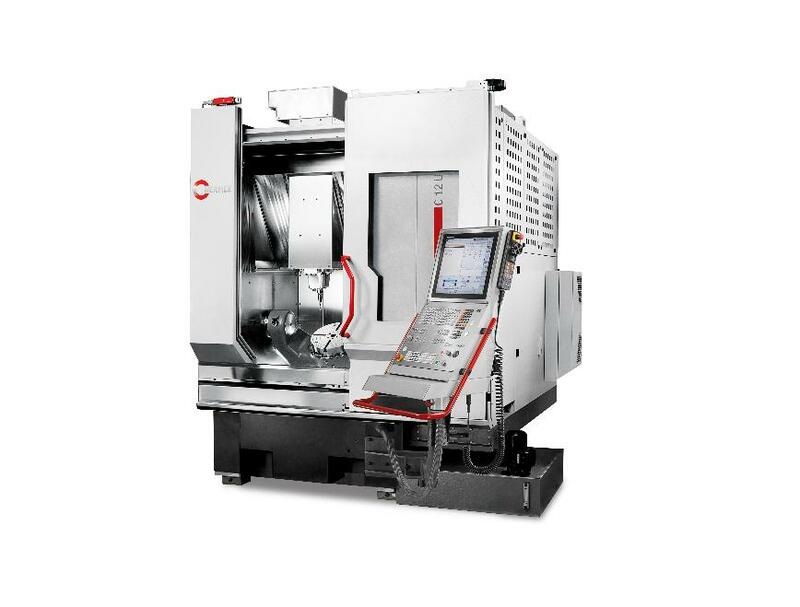 The C 12 machining centre additionally provides extensive options for more intricate applications.